In an ever changing technological world, it is often difficult to keep up with new technologies. We are well aware that it is often the case that children know more about technology that their parents. At Archibald, we believe that children’s technological knowledge should be nurtured and harnessed to further their learning as far as possible. In order to support this, we aim to deliver a comprehensive e-safety curriculum through ICT and PSHCE lessons, whole school, team and class assemblies and by taking part in safer internet day and e-safety week annually. Staff and children are regularly trained with e-safety updates and children are encouraged to know what to do if they ever feel uncomfortable with a sitution online. 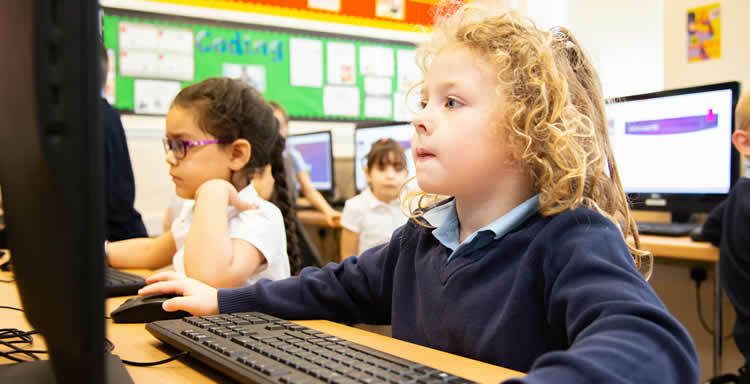 Within school, we have carefully managed systems where children are able to access parts of the internet and are encouraged to communicate and network safely within the school community. We know that home networks are not always monitored and therefore aim to provide children with a working knowledge of what to do in esafety situations. We teach children to know what these situations may look like, as well as what actions they should take. If you or your child have any questions or concerns regarding e-safety or would like any support or advice with e-safety at home, you can speak to Mrs Featherstone (PSA) or Mrs Davison (e-safety leader) or log on to the following websites for more information and support. As part of our #WakeUpWednesday campaign, National Online Safety has teamed up with MusicAlternative to launch a Fortnite online safety song. Their song encourages parents and carers to "stay switched on" to online dangers when their children are playing Fortnite. We hope you love this video just as much as we do! Click here to watch the video.